The Shenmue saga will be completed someday, if enough people play the Shenmue social game. Yu Suzuki has been one of Sega's secret weapons over the years, producing titles such as Virtua Fighter and Shenmue for the company. The latter was a cult-favorite RPG series that never concluded, but Suzuki recently confirmed that if social game Shenmue City becomes popular, the end of Shenmue's story will be told. Shenmue saw two games released and ended on a major cliffhanger. The saga follows Ryo Hazuki on a quest to get revenge for his father's murder, which occurs in the midst of a larger plot involving mystical objects. The games are free-roaming RPGs with detailed worlds to explore and plenty of NPCs to have many a conversation with. Though Shenmue III has been announced and cancelled multiple times, Sega appears to have no plans to bring it back just yet. Suzuki revealed that Shenmue City, a social game releasing in Japan, came about when he saw the popularity of Mafia Wars. His idea was to make Shenmue a success through a new game type, and then continue the story if Shenmue City took off. Because Shenmue III has been requested by "tens of thousands" of people according to Suzuki, Shenmue City is his way of attempting to honor their requests. Suzuki says that he "can't make any promises at present," but "if Shenmue City is loved by users" he will tell the Shenmue story that already exists and takes place after Shenmue II. This may take the form of updates to Shenmue City, but other Shenmue projects were also hinted at. "If service continues, I believe we'll be able to share [the rest of the story] at some point in some form," Suzuki added. Suzuki also said that Shenmue would probably require more than a single game for its story to be finished, with 11 total chapters already written out. 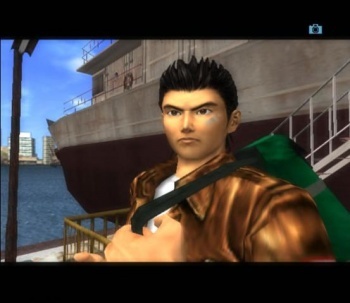 Shenmue II ended with the series' fifth chapter. While Shenmue City may not have been what Shenmue fans were looking for from the series, at least now there's the possibility of the rest of the game's story being told someday, and of Ryo getting his revenge. If Sega really wants to do it right though, at this point it'll have to re-release the first two games so that people can know what's going on.